On the 19th (Fri), take in the awesome beauty at Kata Tjuta, then take an in-depth tour of Uluru-Kata Tjuta Cultural Centre, and then explore and take pictures at Uluru. 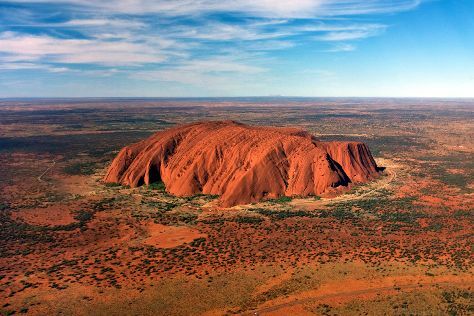 To see where to stay, ratings, traveler tips, and other tourist information, go to the Uluru-Kata Tjuta National Park road trip website . Expect a daytime high around 34°C in April, and nighttime lows around 17°C. Wrap up your sightseeing on the 19th (Fri) early enough to travel back home.